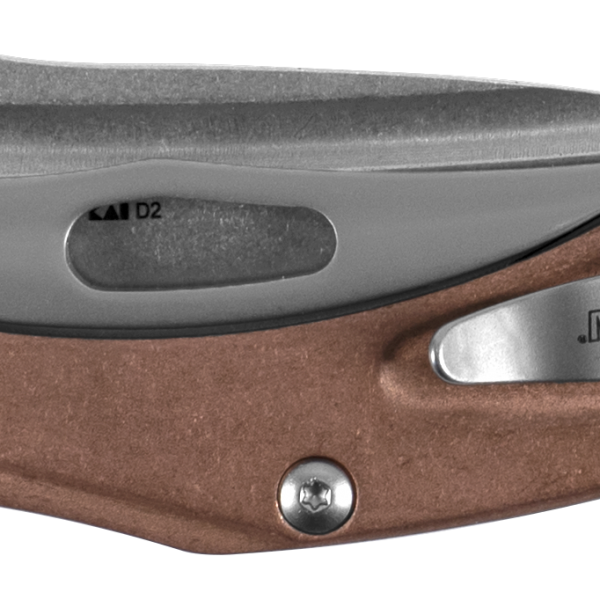 Like other Natrix’s, this one features a drop-point blade that offers solid performance. But it also offers upgraded D2 blade steel. This high-carbon tool steel is highly wear resistant, tough, and offers excellent edge retention. 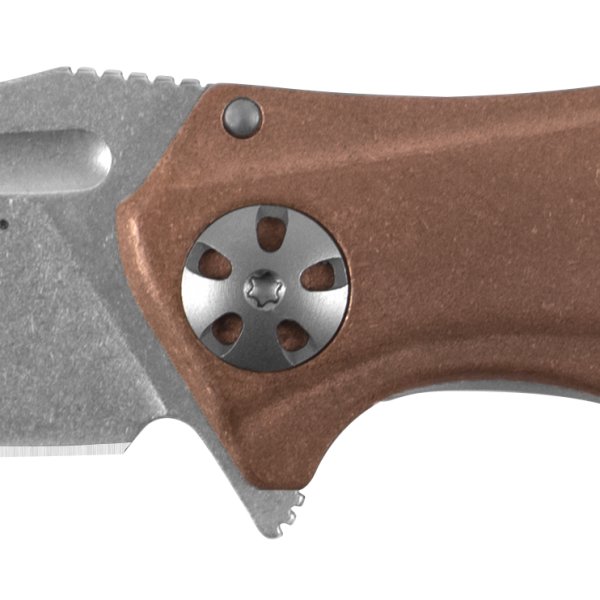 The stonewashed finish on the blade goes perfectly with its intriguing copper handles. Yes, copper. Since copper is denser than stainless steel, this smaller knife has some heft. And a lot of style, too. You’ll especially like the look once the handles have earned some patina.